I love a square blanket, but sometimes it is helpful to have your blanket more the shape of a rectangle. 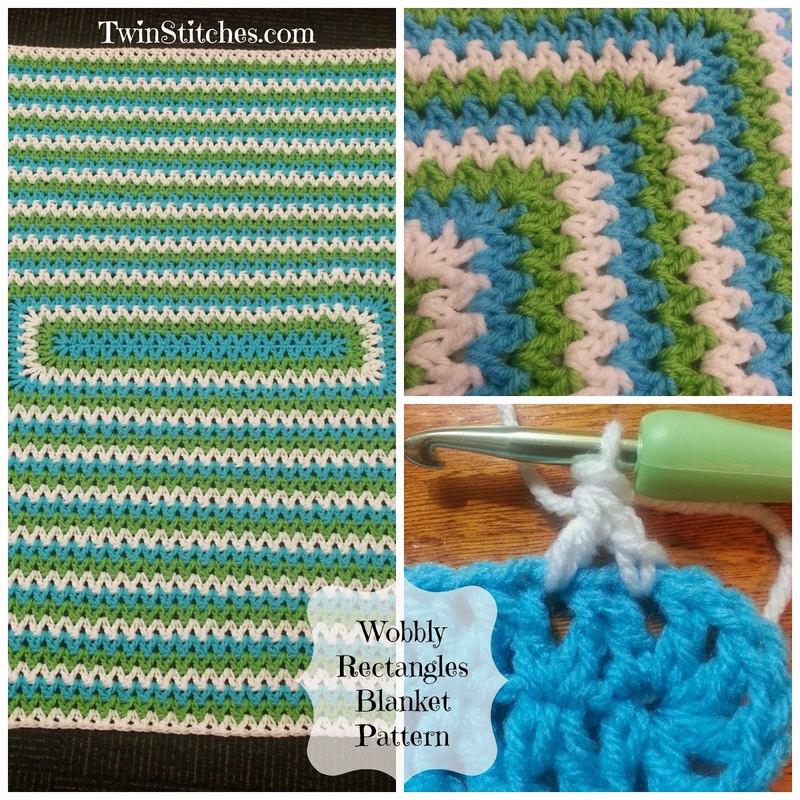 The dc2tog stitch can be used to create the Wobbly Rectangles Blanket! Click here to add this project to your Ravelry queue! Before we get started, you need to decide what size blanket you would like to make. The size of your blanket will determine your starting chain for your rectangles. 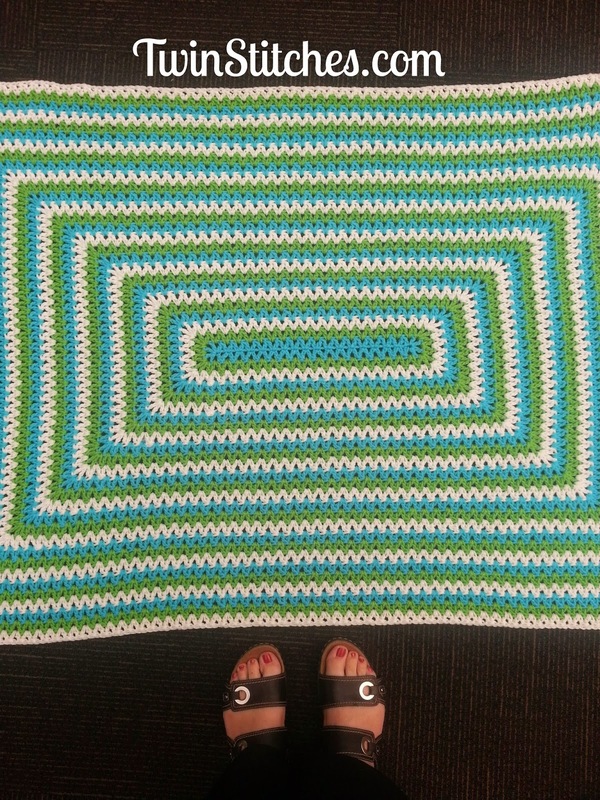 Baby blanket: 30 x 36 inches = Starting chain of 20. Lapghan: 36 x 48 inches = Starting chain of 38. For any other dimensions, calculate the difference between your desired length and width. For example, the baby blanket is 30 x 36. 36-30 is 6 inches. Using a J hook and worsted weight yarn, you need 3 chains for each inch, + 2 extra chains for the start. 3 x 6 = 18, + 2 is 20 chains. You may need to adjust the number of chains based on the type of yarn you are using, the size hook you are using, and the tension of your crochet. Your starting chain must be a multiple of 3 + 2 to work. To be certain you are okay, measure your chain as close to difference of your dimensions as possible, but confirm it is a multiple of 3 + 2. If you are slightly under, please do not worry. It will still work! dc2tog (Double crochet together) Click here for a video from Moogly to learn how to crochet this stitch. Standing DC Click here for a video from Moogly to learn how to crochet a standing dc. Standing dc2tog: begin a standing dc, pull yarn through first two loops only. Yarn over, insert hook through next chain 1 space and complete the dc2tog. Note about the corners: Each corner is worked over three stitches. They will consist of the second half of a dc2tog, chain 1, dc, chain 1, dc, chain 1, the first half of a dc2tog. You will have what appears to be 4 dcs in each corner. *For a photo tutorial of the first two rows, click here. Row 2 begins to make the rectangular shape. I really need to work on my charting skills! Rows 4 - 24: Alternate colors, repeating row 3. Note: If you decide to make any other dimensions for this blanket, you will need to continue to repeat row 3 until you achieve the desired length and width. For the featured blanket picture, I made a lapghan that measures 36 x 48 inches and it was a total of 27 rows. Fasten off and weave in ends! You can add any border you like, but I actually like mine without one! Congratulations on figuring this great pattern out! 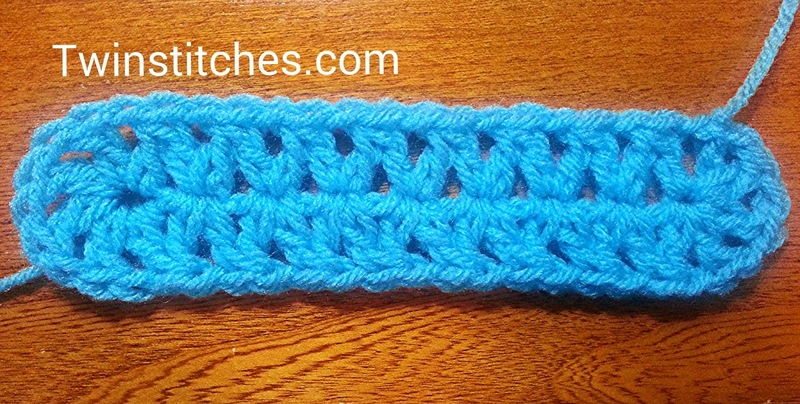 Do you have the stitch summary for Row 2? I'm trying to get it right from he diagram, but seem to have it wrong and I can't figure out where. If you did the pattern exactly as written, you will have (24 dc2tog, 8 dc, 32 chain 1 spaces). Each new row will increase by 8 dc2tog, but will always have the 8 dc for the corners. The number of chain 1 spaces will be the same as the number of dc2tog + the 8 dc. I hope this helps! My husband LOVES your pattern and would like me to make one for him. Could you help me figure out how many chains, etc to start with for an adult sized blanket? Thank you so much! You can always make it bigger than the dimensions listed. Just keep adding more rows. It will always be a difference of 12 inches between the length and width. Hi, Aparna, If you read the instructions under "What size to make," I give instructions on how to calculate your starting chain so that the blanket works out to be the size you would like. Please remember that this pattern is written using worsted weight yarn, so you are going to have to experiment with lighter yarn weights. I love this! It gives the Granny square a whole new look. Thank you for sharing your pattern. :) I finished a peach, seafoam green and off white baby blanket following your instructions. I love it! Thanks again! LOVE this! Gonna have to try it soon! Have too many WIPS right now but saving this pattern!! Thank you! I'm doing this pattern with Lion Brand Pound of Love yarn and I think I'm running into trouble. I'm using a hook that's .5mm larger than what the yarn calls for, but it seems as though the edges on my blanket are not at all straight. They have a wavy look to them and the short edges seem wider than the rest... I do plan on doing a matting technique that I saw to try to square it out some but is there anything else that I could be doing wrong? Or are the funky edges just normal for this pattern? Hello, I am planning to make this blanket in a 60 x 40 size. If I understand correctly, I would need a ch of 62? It seems too long. Please help.